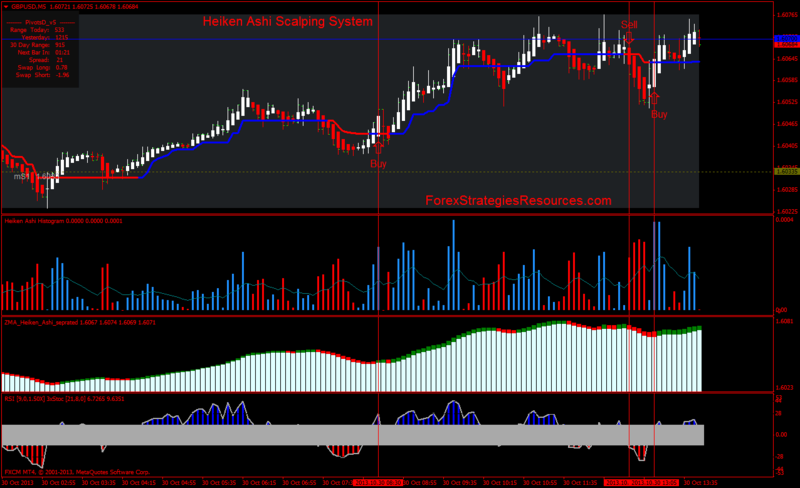 Heiken Ashi Scalping System is an trend following strategy. It's based in the Heinken Ashi indicators and Trend Magic indicator. Time frame 5 min, 15 min. Currency pairs: EUR USD, GBP/USD. Heiken Ashi separated window withe and green bars. Heiken Ashi separated window withe and gred bars. 1) Exit position with fast profit target 5 min time frame 6-10 pips, 15 min time frame 8-14 pips. 2)Trailing stop 10 pips after 10 pips in gain. 3)Take profit at the levesl of the pivot points. Initial stop loss 15 pips 5 min time frame and 20 pips 15 min time frame. 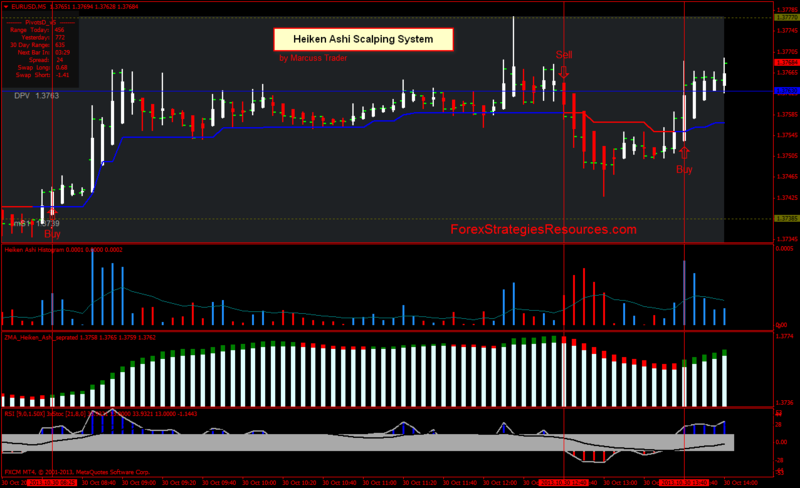 In the pictures below Heiken Ashi Scalping System EUR USD, GBP/USD in action. Can you check to see if ZeroLAG MA.ex4 is missing from download rar file please.